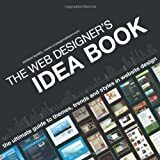 The Web Designer's Idea Book includes more than 700 websites arranged thematically, so you can find inspiration for layout, color, style and more. Author Patrick McNeil has cataloged more than 20,000 sites on his website, and showcased in this book are the very best examples. Sites are organized by color, design style, type, theme, element and structure. It's easy to use and reference again and again, whether you're talking with a co-worker or discussing website design options with a client. As a handy desk reference for design layout, color and style, this book is a must-have for starting new projects. Based on the DesignMeltDown.com website, which has been inspiring and focusing web design for years, this book is the perfect resource for any web or graphic designers library. The book reveals web design trends, and offers advice as to how and why certain aspects of design are incorporated in various ways to gain different results. The succinct organization makes locating a specific topic a breeze, and once you find your answer, the beautifully rendered pages bring the website to life. A required resource for web designers, I’m looking forward to many more editions from Mr. McNeil. This book does just one thing, it showcases beautifully made websites and the author does this extremely well. The Web Designer’s Idea Book is a must have for any web designer/graphic designer out there to have real world examples of good design on hand. This book is exactly what it says it is. It gives page after page of good looking sites grouped by styles, colors, themes, purpose, etc. with some intro verbage in each section. There is not a whole bunch of babbling about best practices or implementation, just a lot of images of sites. After spending some time with a client to determine their needs, this book provides a great place to go to get some ideas for how some of the needs might be met visually. In addition, the companion site at designmeltdown.com is regualarly updated, adding value to an already good book. My only gripe is that the book’s binding prevents it from staying open to a page if I place it on the desk. The images are full color semi-gloss and the book is well organized. Don’t be fooled; this isn’t a step-by-step guide on how to build a website. However, it is a fantastic tool to use if you need help coming up with ideas for your own sites. The author has divided the book into sections based on characteristics that the sites share and by including the links, the reader can get a first-hand look at how the site is built. Combine this book with a web developer toolkit of some sort to view the code and CSS and this is better than any class. Waiting for the next volume! This book has a huge selection of design style examples, all organized in a very intelligent way. The print quality is very good. As a reference book, this is a must have for any web designer looking for some inspiration. As a web design author, I often get asked what books I recommend. This of course depends on who is asking and what they want to learn, but one book I often pass along is Curt Cloninger’s original* Fresh Styles for Web Designers: Eye Candy from the Underground from 2001. The specific design examples are quite outdated now, but to me, that book was a pivotal source of inspiration at a time when everything online seemed to be either boringly corporate or awkwardly amateur. Cloninger helped me to see the web differently; I learned to creatively tag design trends and techniques so that I could mentally catalog them for my own use. This process of mentally classifying design inspiration has become a critical part of my growth as a designer as well as my ability to explain web design to the non-designer. In The Web Designer’s Idea Book, Patrick McNeil takes the task of cataloging current trends and styles to a meticulous new level. Within the book’s 256 pages, McNeil has sorted over 700 screenshots of stellar site design by color, design style, type, theme, element and structure. Within these 6 chapters, he has defined a total of 75 individual design categories. Some examples of these categories include: Blogs, E-Commerce, Minimalist, Wood, Pink & Blue, Muted, Rays, Gradients, Tabs and Massive Footers. Then, within each of these seemingly exclusive categories there are a few paragraphs explaining when, how, and why it should be used along with an average of 8 or 9 example screenshots. Obviously, reading this book will not teach you to be a great website designer. What it will do is expand your design vocabulary and train you to break down your favorite sources of design inspiration into bite-sized chunks that you can use in your own work. I spent a good portion of the cold, rainy weekend reading through the text in each category and pouring over the pages of screenshots. I saw quite a few familiar examples of good design, but was amazed by quantity of inspirational sites that I had never heard of. If I had one complaint about the book it would be that I wish all of the screenshots were full-size, or perhaps if they couldn’t be, that there was an archive of the full-size screenshots posted somewhere on the web. Regardless, I’m sure the book will be a huge source of inspiration for me for years to come. Then, when it is too old to serve as inspiration, it will most certainly be an excellent resource for web design history. * As I was writing this review, I discovered that Curt Cloninger just released a sequel to this book: Fresher Styles for Web Designers: More Eye Candy from the Underground You can be sure that I’ll be reviewing this book as well in the near future. I am not a web designer; far from it. I wanted a website to promote my photography and I’ve been struggling to get the right look for months. My boyfriend gave me this book for Christmas and I love it. It’s always within arms reach when I’m working on my website. The book is organized by style, by color, and it has the color codes at the end of most chapters, saving tons of time. I was able to create a simple website that I love, the cost was minimal, and I get lots of compliments on my work. This is a great book for ideas and inspiration. For people looking for principles, and how to design web pages, this is not the book for you. I would recommend “Head First Web Design”. It is a very good book, with easy to understand principles. As the name states, this is an idea book. I think it’s unfair that people give this book a 1 star because they didn’t bother to read the title or description of the book. This book delivers as promised. It indexes different web page design examples into categories such as type, design style, theme, color, etc. I bought this book as a quick source for design inspiration and it plays that role perfectly. I highly recommend this book to all web designers looking to expand their creativity. There is also a 2nd edition to this book which will be coming out later this year. I already have it on my wish list. This book is a great resource for inspiration if you’re in a creative rut. The best part about it is that it’s a collection of modern websites that apply to today’s design standards, not some ancient collection of Web 1.0 artifacts. And there are plenty of examples within it. Well laid-out and organized book. Better than I expected. Author’s website is also a fantastic resource of ideas and quick tutorials. Well-worth purchase!